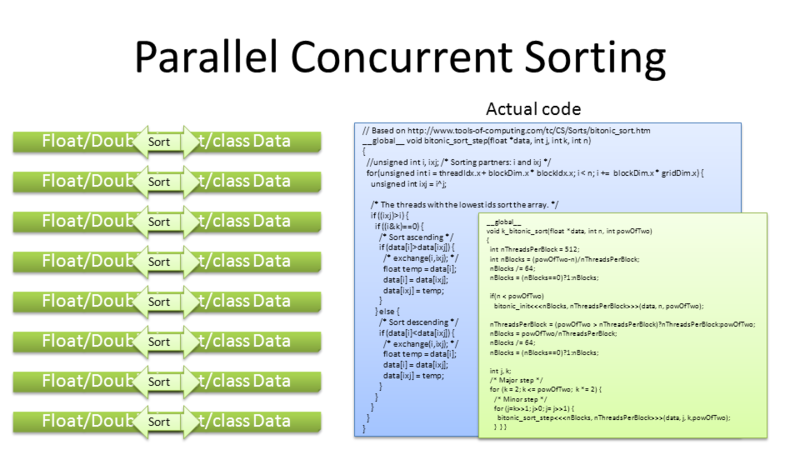 Intel Engineer Robert Ioffe has posted an OpenCL QuickSort tutorial that utilizes nested parallelism and Workgroup-scan functions. 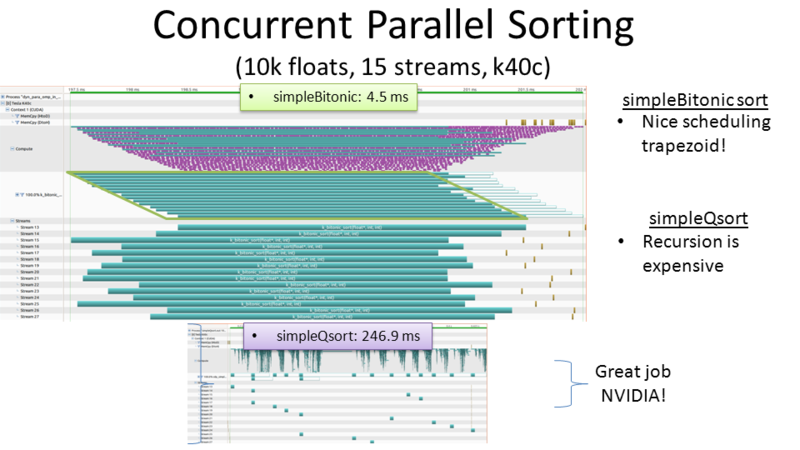 In particular, the tutorial shows how to use the OpenCL™ 2.0 enqueue_kernel functions that queue kernels from the device without host intervention (Much like dynamic parallelism) plus work_group_scan_exclusive_add and work_group_scan_inclusive_add, two of a new set of work-group functions that were added to OpenCL 2.0 to facilitate scan and reduce operations across work-items of a work-group. Full source code and discussion can be found on The Code Project.